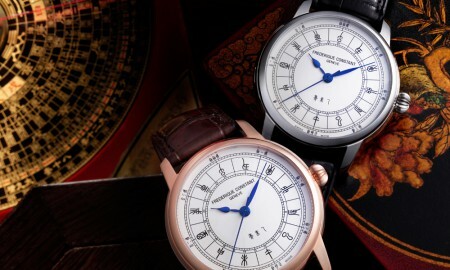 Chronoswiss has announced at Baselworld 2015 that it will introduce the Timemaster GMT, a new timepiece featuring a second time zone. The 44 mm case houses a Chronoswiss Caliber C.289 automatic movement, which runs at a frequency of 28,800 vph (4 Hz) and has 21 jewels. 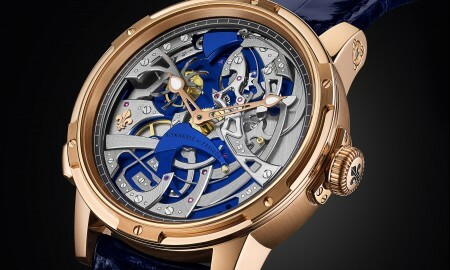 It will be available in three different versions including stainless steel with a carbon dial, stainless steel with DLC-coating and a carbon dial, and in stainless steel with a galvanic blue dial. 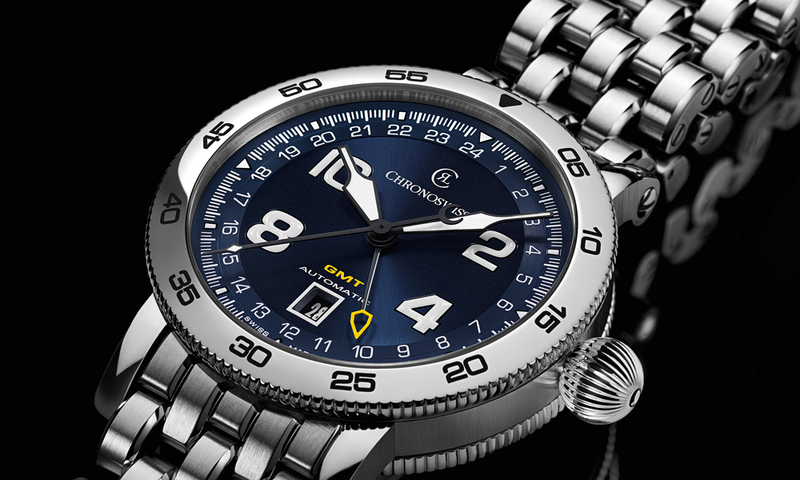 The design is complemented by a colour scheme that is made up of highlights in “racing yellow”, with Super-LumiNova coating. The GMT hand glows in the dark. 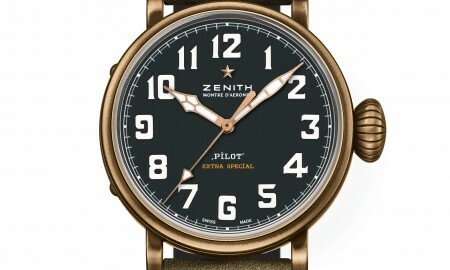 Each timepiece is supplied with a stainless steel bracelet or strap made from rubber or textile, it has been confirmed. It will be water resistant up to a pressure of 10 bar. That’s the equivalent of 90 meters or 297 feet. 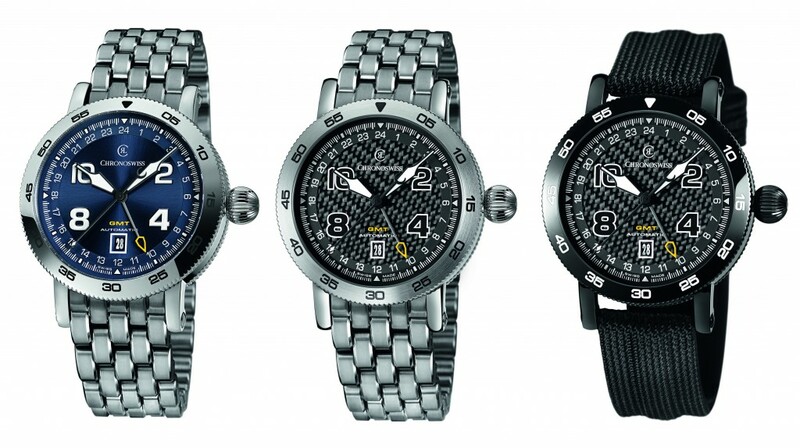 The TimeMaster GMT has central hours, minutes and seconds functions. A second time zone is also featured, while a date display can be found at the 6 o’clock position. Chronoswiss previously announced the Sirius Moon Phase Diamonds at the same event. 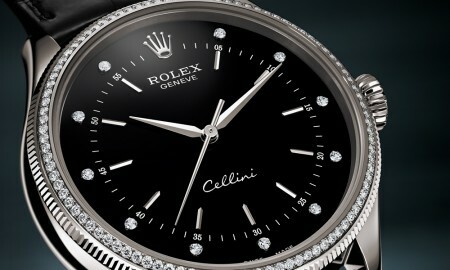 The watch showcases a large mother of pearl dial.